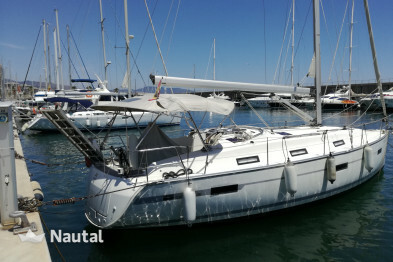 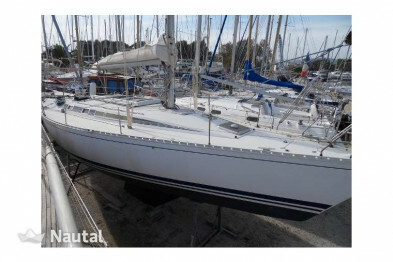 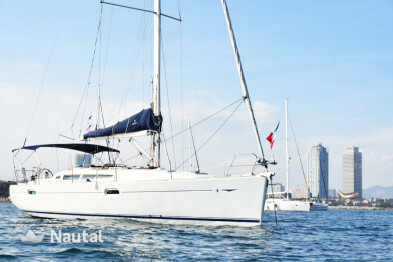 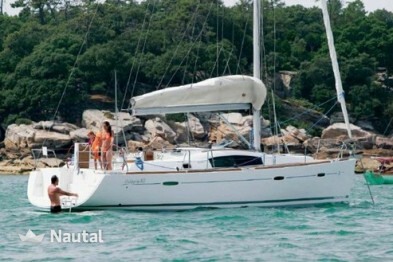 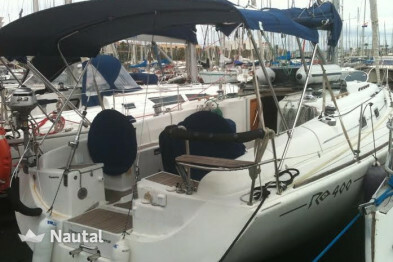 11.8 meters sailboat ideal for watching the coasts of Barcelona, ​​based in Badalona port length. 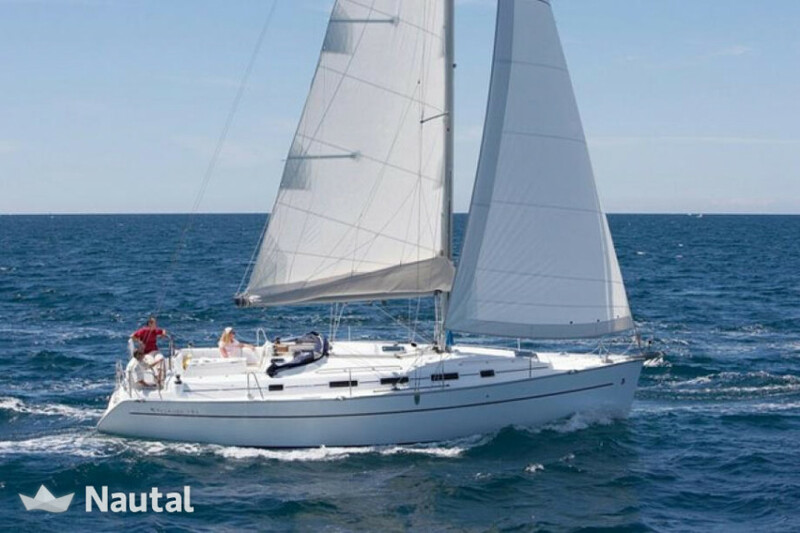 This sailboat is perfect for coastal sailing with friends and family, thanks to its balanced and sporty performance sails. 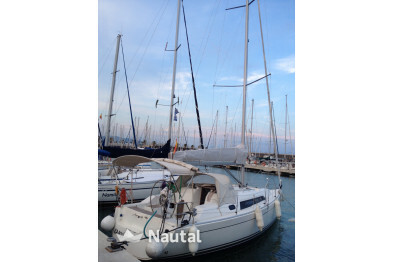 Ideal to anchor in coves and beaches for its maneuverability. 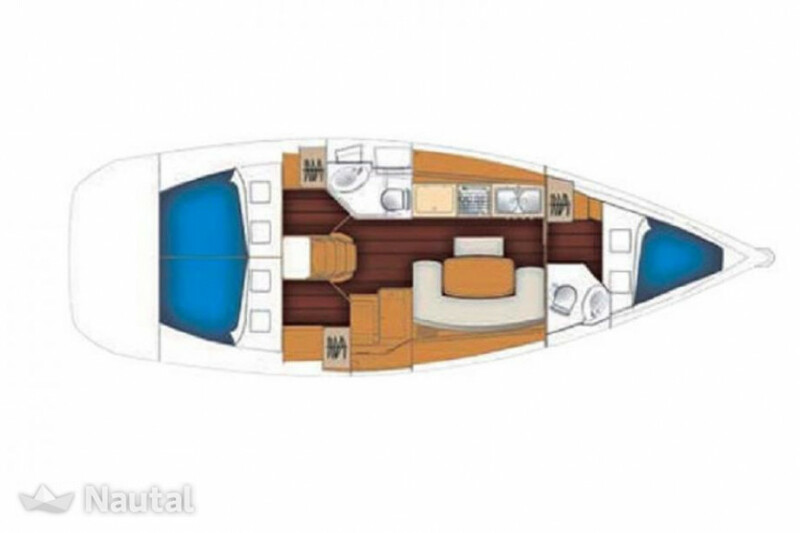 For up to 8 people, it has 3 cabins and 1 bathroom and lounge convertible allowing overnight to 6 people. 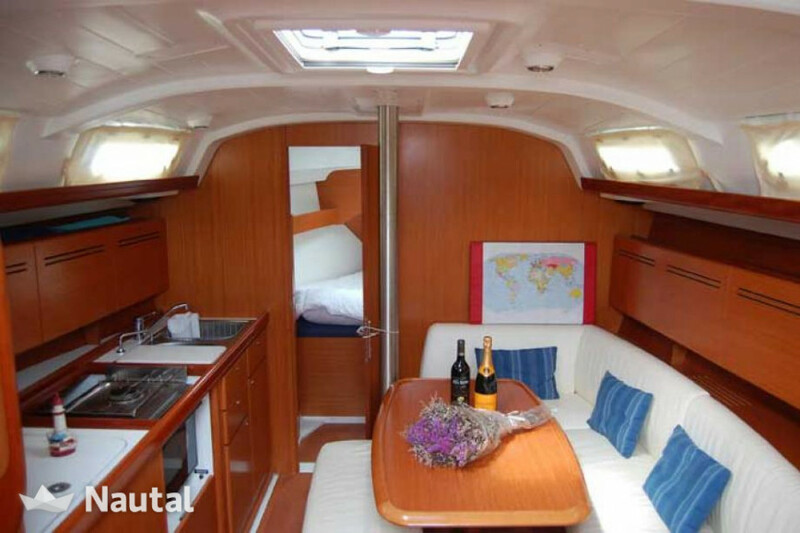 The kitchen is well equipped. 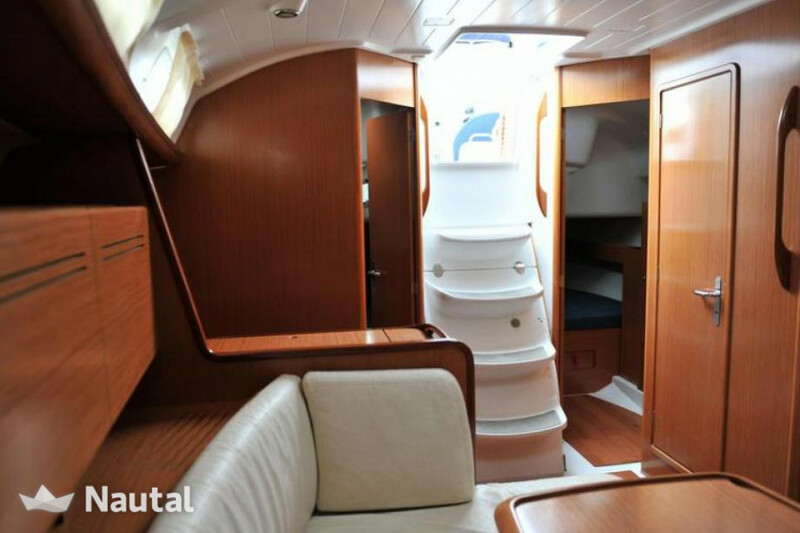 The interior space offers great comfort on board, designed for a pleasant stay. 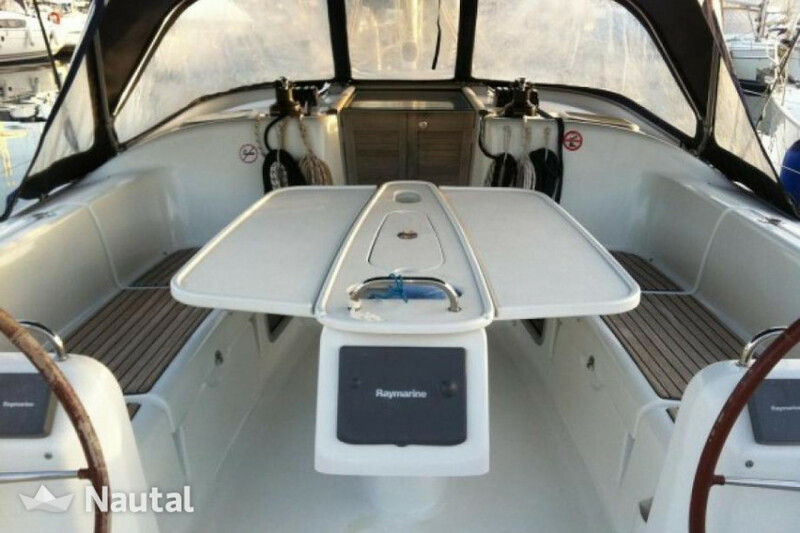 The outer tub is very comfortable and has a well-designed swim platform to access the water.